« Celebrating Dr. Robert Gibbs! Earth Day is an annual event celebrated on April 22 to promote environmental protection. 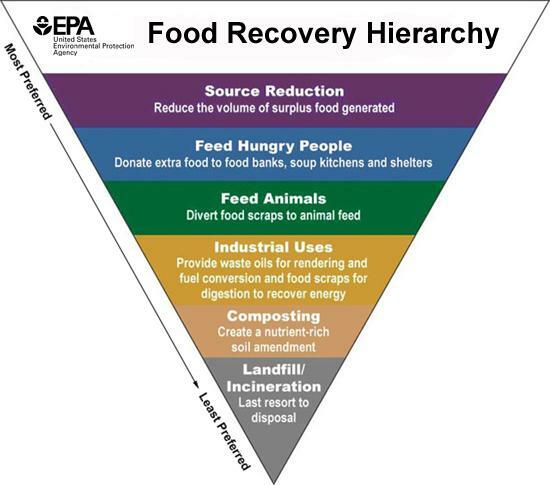 One challenge of growing concern is that a tremendous amount of food is currently being wasted. In fact, according to the United Nations’ Food and Agriculture Organization (FAO), 1.3 billion tons of food is wasted annually (more than 350 pounds of food for every person on the planet)! National Geographic reports that if food waste were a country, it would be the third largest emitter of greenhouse gases in the world, behind China and the U.S. The FAO of the United Nations estimates that 805 million people suffer from starvation globally, and yet each year around the world, nearly 3 trillion pounds of food is wasted. That is enough to fully feed every one of those hungry individuals all year, two times over!! There is enough food to feed all of those that need it and many of the small actions individuals take in their homes can actually have tangible direct impacts on the issue at hand. While using an energy-saving light bulb is a good thing to do, it is further removed from affecting the world than donating food to a pantry, which not only keeps food from going into a landfill, but puts it directly into the stomach of someone in need. What does this mean to Tri-Lakes Cares? Well – did you know that we rescued 80,933 pounds from our corporate partners last fiscal year? And, in fiscal year 2017, we have rescued 46,844 pounds from landfills in six months. What do we do with the food that we rescue? Check out Save the Food for tips on how to meal plan, how to shop and how to decipher dates on products. This Saturday, ride your bike, plant a tree or donate food to Tri-Lakes Cares! All of these actions will help create a better tomorrow!